MVCSD Board of Education hosted a Joint Board Meeting Monday, April 15, with MV City Council and Mount Vernon Nazarene University to discuss the collaborative Access To Opportunity. Sam Barone, Executive Director of the Knox County Foundation; Brian Ball, City Engineer; Bill Seder, MVCSD Superintendent; and James Smith, MVNU Vice President for University Relations all outlined the various parts of this historic venture. Video length 1h20m. We want to exprerss our appreciation for all those who participated in our second 'Thought Exchange' regarding facilites. Your input is invaluable as we develop future facility plans for the district. This video was presented at our February board meeting and available for your review. Video length is 23 min. Visit the Thoughtexchange link to view the results. Mount Vernon City Schools will continue to use “Knox Alerts” for the 2016-2017 school year. The Knox County Commissioner’s have graciously provided this alert system to school districts in Knox County. We believe the reliability and speed of the Knox Alerts system will greatly enhance our ability to communicate school news as well as school closings and delays in a more efficient and timely manner. Parents, this is a free service provided by Knox County. 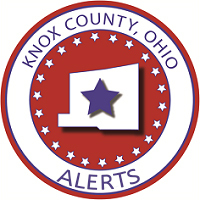 Please click on the Knox County Alerts and sign up for this service. Scroll to toward the bottom of the document to sign up for the Mount Vernon City School District Alerts.